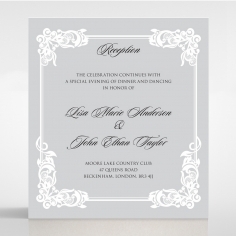 Love does not have to be mediocre as this stunning design exudes sophistication and unmatched elegance. 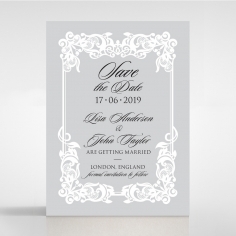 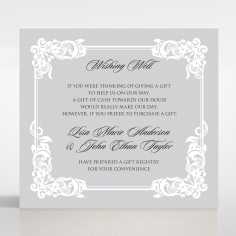 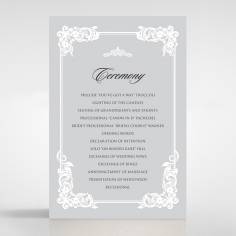 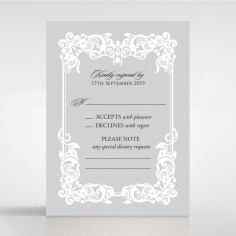 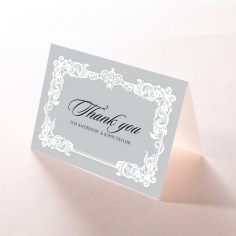 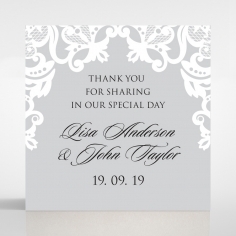 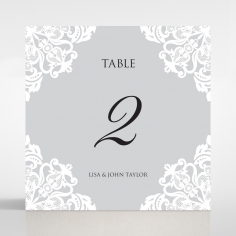 Announce your grand celebration with this unique square-shaped invite with a quarterfold pocket draping over the glittering white pearlized inner card printed in black raised ink. 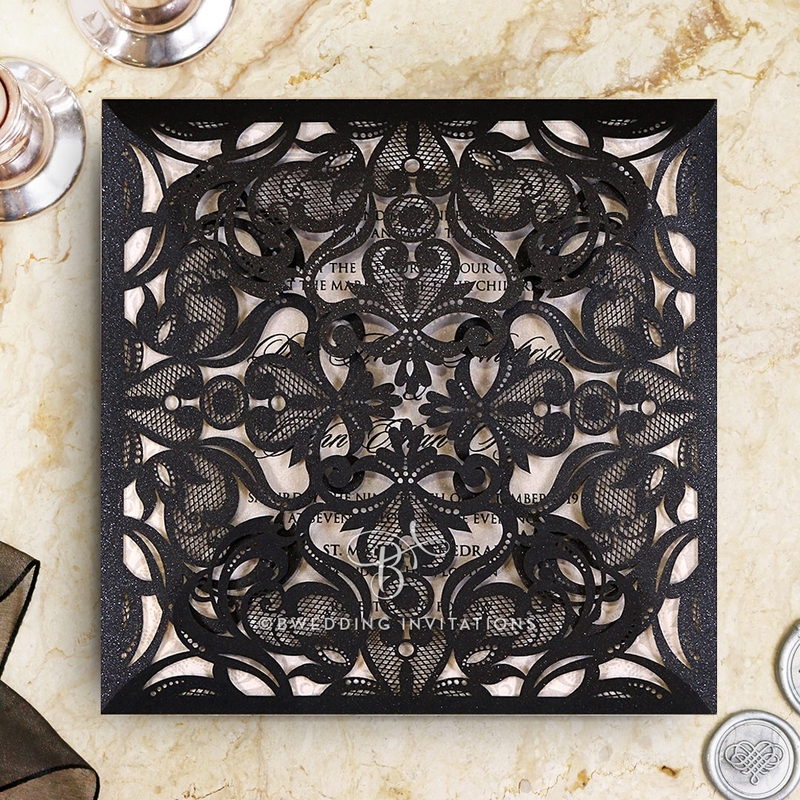 This stunning black royal themed laser cut invite presents your guests with front panels of intricate mesh details in ornate vectors. 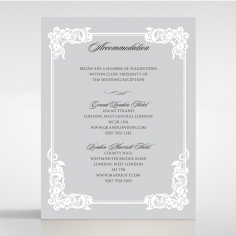 Your wedding details are highlighted using dramatic calligraphy which you can choose to personalize in terms of font, wording and layout. 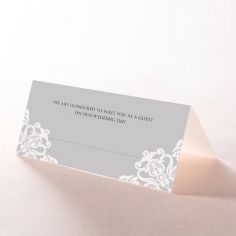 With this ivite comes equally stunning envelopes adorned with silk lining on the inside.